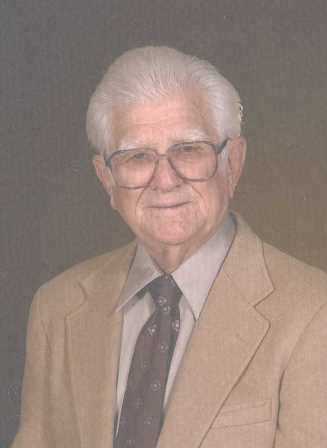 Earl “Red” H. Hooper, Sr., 87, resident of Santa Fe, Texas, passed away on May 10, 2014. He was born in Houston Texas to parents Thomas Edward Hooper, Sr. and Frances Wisnoski Hooper. Earl served in the Merchant Marine during WWII beginning at the age of 15 and advancing to Chief Electrician before being honorably discharged. After WWII he returned to Galveston where he was employed as a Master Electrician. In the later years of his career he was the owner of an electrical business working in the major petrochemical industry. Earl was a founding charter member of Aldersgate United Methodist Church; he served on the Building Committee of the original Church structure. The Church was the center of Earl’s activities as he was a strong supporter of the Church’s outreach in addition to having served on numerous boards and committees. He is preceded in death by his parents, and sisters, Frances Wynn, Dorothy Perthuis, and brother, Thomas E. Hooper, Jr. 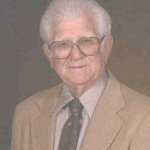 He is survived by his wife of 67 years, Wilodyne Copeland Hooper, son, Earl H. Hooper, Jr. and his wife Barbara, daughter, Mary Dyne Hooper-Cox and her husband Phillip; sister, Beatrice Maples; 3 grandchildren, Shaun Hooper (Noelle), Ryan Hooper (Mandy), and Erin Cox; 2 great-grandchildren, Kahlan and Inara Hooper. The visitation will be from 6 p.m.-8 p.m. Thursday, May 15, 2014 at Aldersgate United Methodist Church. Funeral services will be at 11:00 a.m. Friday, May 16, 2014 at Aldersgate United Methodist Church in Santa Fe, Texas. There will be a private interment at Woodlawn Cemetery, Houston. Shaun Hooper, Ryan Hooper, Tom Harryman, Phillip Cox, Bobbie Wright, Mike Brown will serve as pallbearers. Honorary pallbearers are James Wierzowiecki, George Spiers, Richie Valusek, and Preston Barton. Memorial Donations may be made to Aldersgate United Methodist Church Memorial Fund. Wilodyne, my love is with you and your family at this time. Take comfort in the fact that Earl is with God and enjoying his well-earned reward and is without any pain. He was a force in so many lives and touched our hearts. There was no one quite like Earl. I will always remember him way up on a ladder doing things for us in the choir. He was so giving to all of us. We were blessed just by knowing him. Aubrey called this morning and told me of your loss. Words cannot express the sympathy and love that I have for you. Much too often too many miles separate family members and it is so easy to lose touch with each other, but that doesn’t mean the love ever fades. I know GOD is watching over you and now has Earl in his loving embrace. Wilodyne, prayers of comfort, strength, and healing for Earl were going out many days and weeks prior to Earl’s ongoing to his heavenly reward. God decided to perform the ultimate in healing, and now Earl is with Him and no longer experiencing the struggles of this life. My prayers have more recently turned toward you, your children, and family as I ask God for comfort, strength, and good memories of a husband of 67 years who was loved by you, as well as those who knew him. I was privileged to know Earl and you through Bunco back in the late 60’s and early 70’s. Going past your home and yard on FM Road 646 N during the Christmas holidays was always a treat for me and my family. I was fortunate to get to know you both better when we joined the Aldersgate United Methodist Church some eight years ago. I can’t help but wonder if Earl is busy looking for a way to help make heaven look even even more colorful and bright with his Master electrical knowledge. Condolences to the Hopper family. Our thoughts and prayers go out to your whole family. Psalms 147:3 says Jehovah God, “heals the broken hearted, and binds up their wounds.” May God bring you comfort and peace.